We’ve added 4 new features into TimeTec Cloud. 1. Improved the loading speed of Attendance page for faster viewing. 2. 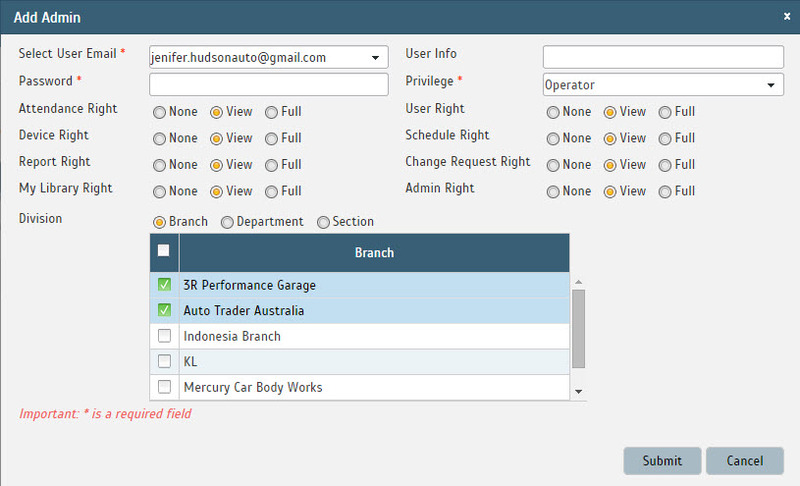 Employees with Operator privileges can create new login with Operator privilege limited to specific branches, departments or sections. 3. 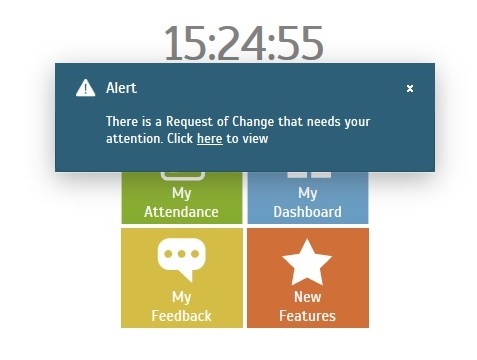 New UI to alert administrators to take action with the Request of Change. 4. 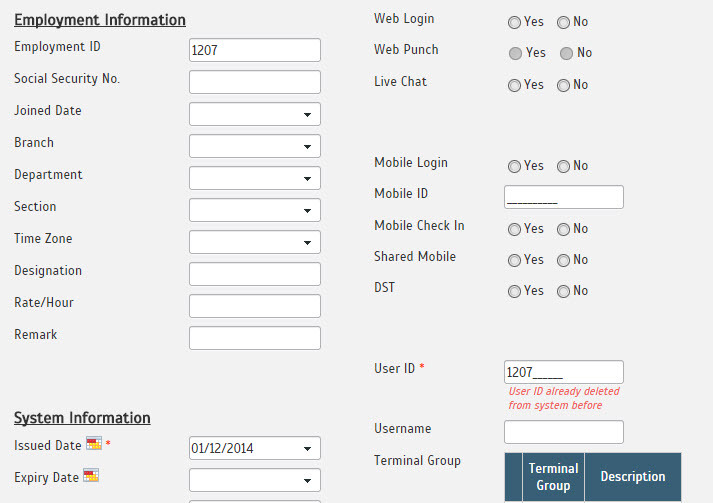 System will notify administrators if the newly created user ID has been deleted before. TimeTec Cloud does not allow duplicated user IDs even if it has been deleted from system. 4. Realign text display in Change Request Approval for different browsers in use.